The past many months have been the longest, darkest months I have experienced since beginning my mental illness journey as a teenager at 14. In 18 years of crushing depression, paralyzing anxiety, and perception altering BPD, I have never been worse off or needed more help and support. In there lies the hitch…needed more help and support. Depression is an illness of negativity and defeat. It truly is a parasitic disease, living off of the little bit of hope and happiness that the ill individual tries to build upon. On its own, depression alone can make souls crumble and lives end. However, I have found that when my Borderline symptoms come to play with my depression, my life can only get worse in ways I never imagined possible. Growing up, I always had many good friends in my circle of personal company (including family members), always reserving a few as my best playmates and confidants. I took great comfort in their presence in my life and sought to be the same to them. As the years came and passed, friends moved, schools changed, and time had us all making new acquaintances. We exited the lives of our old, dear friends to begin journeys with new companions. This pattern of friendship didn’t change much for me up until college. It was at that time that every model of friendship I knew transformed into patterns and realities that I never thought possible. Up until the time I went off to college, I functioned with my illness pretty well. Of course, I had some low periods, but I was able to keep my head above water and be “normal” alongside my friends and family. However, while in college, my illness took a dramatic downward shift and began compromising my daily functioning to the point that within a few years, I was left unable to work (let alone finish school). Not being able to work (or even leave my home, at times) took away most of my ability to participate in my friends’ lives, so I began seeing them less and less. I tried to keep up through emails, texts, phone calls, and cards, but as I grew worse, so did the distance between us. In the last two years, my face-to-face friendships have basically disappeared. So now begins the hard writing…as I have explained in my past post, “Borderline Personality Disorder: In My Words”, a main symptom of being Borderline is that of splitting, “…veering from extreme closeness and love (idealization) to extreme dislike or anger (devaluation)…” of the people in our lives (NIMH-Borderline Personality Disorder booklet). I am an extreme idealizer in terms of friendships, so having lost personal, physical closeness with my friends took a tremendous toll on me. I felt abandoned (another main BPD symptom) when friends planned outings without me or passed through my town to visit others in their lives while explaining that they did not have time to visit with me. It often felt as though when their busy lives provided them the means and time to catch up on their social lives, I was never a main target for their time and support. And so, I began feeling very, very sorry for myself, entertaining thoughts of never being good enough to be loved, thoughts of anger & reprisal, and, quite honestly, thoughts of ending everything. Now, a person reading this might support that I had a right to feel sorry for myself…and I will admit that I still think I did. I know that things about me have changed over the years, but I never stopped being a loving person who would do anything she could to be the best friend she could. However, I also acknowledge that being in the life of someone who is ill can be a monumental task. I have never known anyone who has loved a cancer, Alzheimer, or diabetes patient describe it as easy. When my grandmother became so overcome with cancer that the warm and loving woman I grew up to know ceased to exist, it was not easy. I can completely accept that loving “sick Kelley” is not an easy. So…back to the issue of feeling sorry for myself. Wallowing in self-pity is just that, floundering in an over-indulgence of a negative experience…and are negative experiences what I have been blathering about trying to overcome all these many years? One would think that these “Ah ha!” moments would be so simple to realize and accept, yet they are not. I think I needed to be so very selfish in my pain and sense of abandonment so that I could one day realize that times change, people change, and I change…and that that is alright. I wish I could have learned this lesson through other means, but I just wasn’t willing to let go of the misery. I know I will continue to struggle with feeling sorry for myself from time to time, as it has long been Mans’ selfish delight to do so. But I am hoping that I have learned better how to acknowledge the difficulty and changes of relationships, let them have their moment to learn from, and then move on, being better for the experience. —Please, if you care for someone who suffers from mental illness, do not give up hop for them, nor give up on them. They need your active, participatory support if they are to recover healthy, functioning lives. You could even save a life. This entry was tagged Abandonment, anxiety, Bipolar, borderline personality disorder, depression, Friendship, support group, support system. Bookmark the permalink. Why don’t I have an option to like this? Did you remove that? Well anyway I love this. I hate that it is your life right now but I love how well you have expressed it. 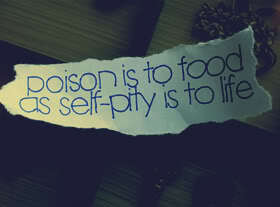 And it doesn’t come across to me as self-pity at all. Instead it’s very honest and very real. I’m not sure what has changed (or how WP did that) but I still think this is great. And I know it is what a lot of people with mental illness struggle with. Sharon, I am dearly thankful for you. One day, we will have tea and mince together! Kelly, you have came a long way and I know it is daily struggle, but honey you have a wonderful support system with family. Please know that we love you and are here for you anytime at all, we are only a phone call away! As always, an excellent post! Love you!